Schools Sports Association (CCOPSSA) and with our neighbors in the south, the Guam Volleyball Association (GVA). All of NMIVA's fundraisers put money into the development of volleyball in the CNMI. NMIVA encourages volleyball enthusiasts to become a member today for a mere $20 a year. Members get email updates and discounts on all NMIVA-sanctioned volleyball events throughout the year. Junior Cup Activities on Saipan Open blog post to see poster please! Feel free to download and distribute freely! 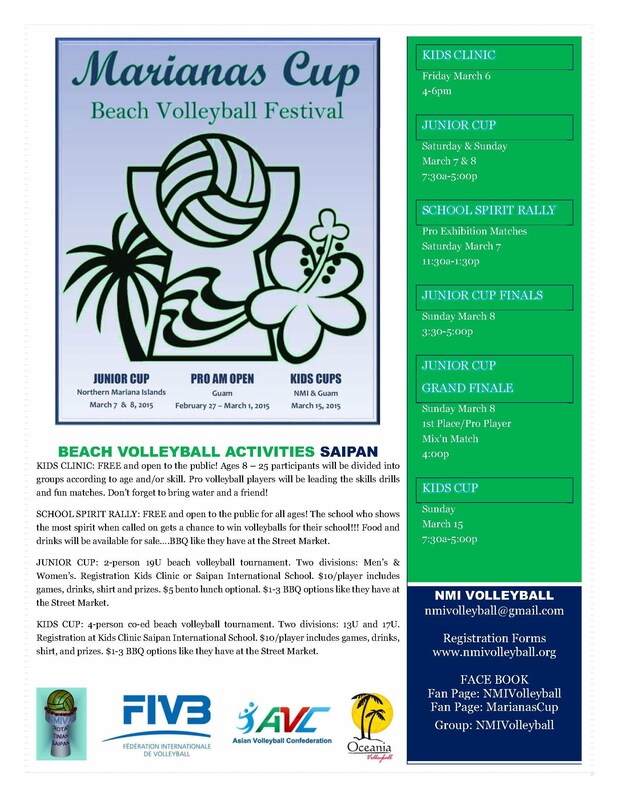 Thank you for supporting youth beach volleyball in the CNMI! Everyone is invited! * There are no fees to join! Open to all interested players and covers basic fundamentals, game strategy, conditioning and fun! A great workout and a great way to spend a Saturday morning with family! * Starting age is 10 years old and above. All participants are responsible for their own clothing, water or other hydration and transportation. Adult supervision is preferred for participants under 14. If you are interested in private lessons, please contact us and we will put you in touch with a Coach. Contact us for private lessons packages rates. 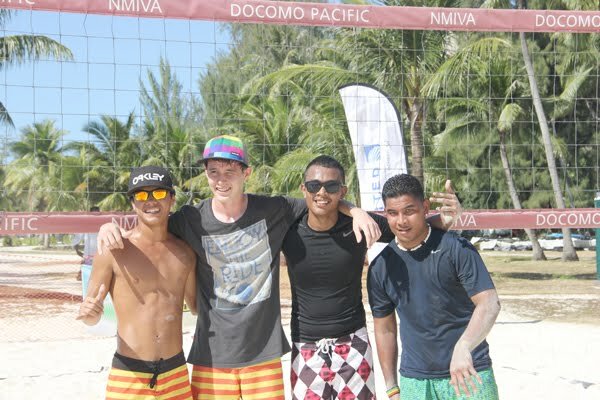 Marianas Cup Beach Volleyball Festival here!